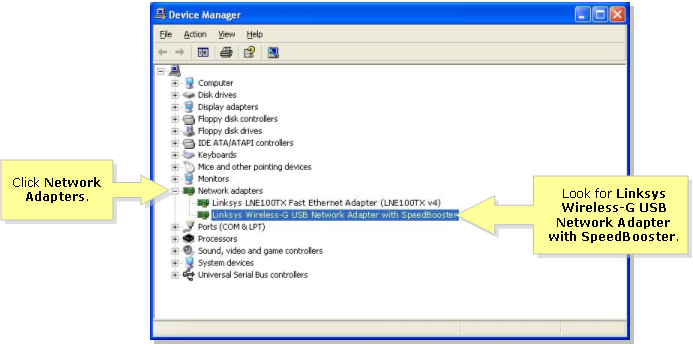 Click Network Adapters and look for Linksys Wireless-G USB Network Adapter with SpeedBooster. 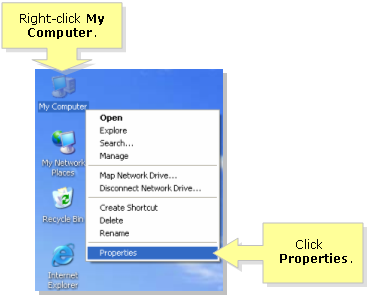 Take note if the Network Adapter icon: is colored green. If it’s green, this means that the drivers are installed properly. If the Network Adapter icon has a red x on top of it like this: this means that the device has been disabled. 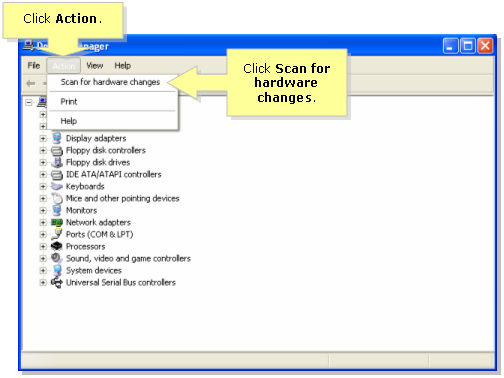 To enable it, right-click the Linksys Wireless-G USB Network Adapter with SpeedBooster and select Enable. 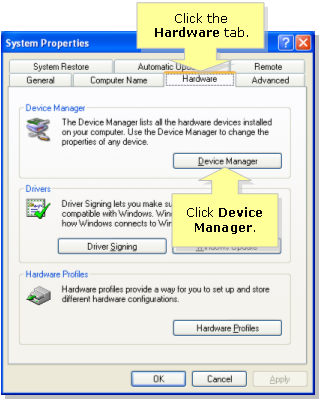 If you don’t see the wireless adapter under network adapter, click Other devices and look for USB Device. 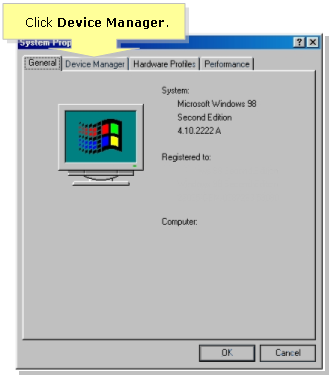 This means that the drivers have not been installed so you have to install the drivers. 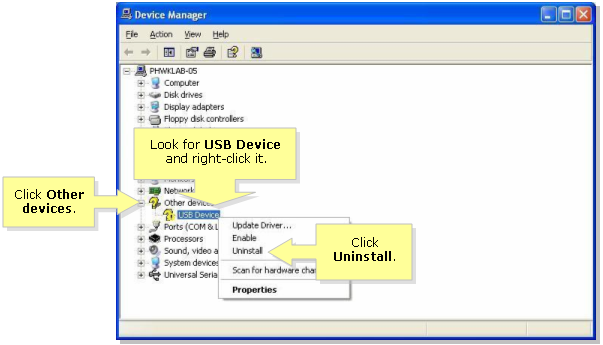 Uninstall it first by right-clicking on USB Device then click Uninstall then install the drivers.